Acer's new Aspire Ethos 8951G and 5951G laptops focus so much on entertainment that their touchpads are removable and double as media remotes so you can control your laptop from afar. Besides the distinctive touchpads, the new 18.4-inch and 15.6-inch Ethos laptops also boast decent specs for multimedia laptops, including: HD displays, Blu-ray writers, 5.1 channel surround sound, and backlit keyboards. The detachable touchpad doubles as a media remote. Acer's press release for the new Aspire Ethos laptops doesn't make loud mention of the detachable touchpads, even though they're the most innovative features on the devices. Acer simply states that the touchpad doubles as a media remote "for convenient multimedia and content enjoyment at a distance." The touchpad's orientation sensor lets you use it either horizontally or vertically. 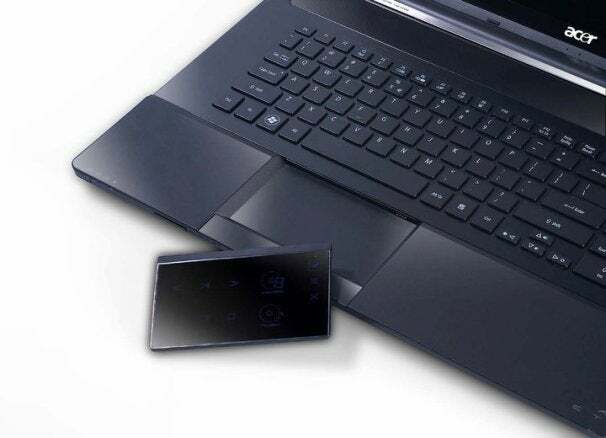 If you look closely at the photo from Acer's Facebook wall, you can see some media-friendly controls on the touchpad. A remote for your laptop can be useful for streaming music and movies from across the room, but it's not a feature everyone needs, and I'd be concerned with misplacing the touchpad. If you use your laptop to make presentations, however, this niche design feature could be very handy. 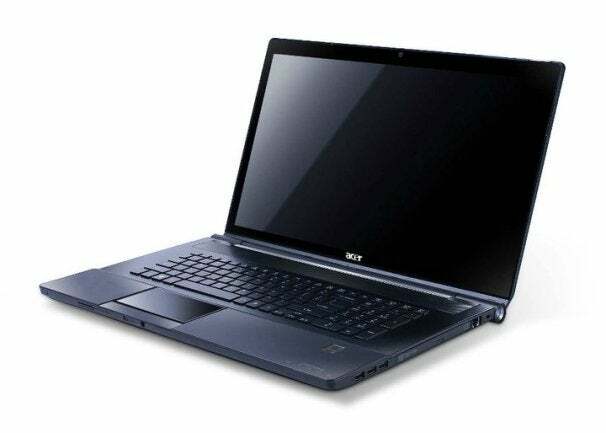 As for other specs, the Acer Ethos series use second-generation Intel Core processors and offer discrete NVIDIA GeForce GT500 graphics. Both the 8951G and the 5951G have frameless displays for edge-to-edge widescreen views. The larger 8951G has a full HD (1920 pixels x 1080 pixels resolution) screen, while the 5951G offers a more typical HD display (1366 pixels x 768 pixels resolution). Both are made with scratch-resistant Corning Gorilla Glass protection. Storage options include a Blu-ray writer or DVD optical drive, SSD combined with standard HDD, and a multicard reader that supports the latest SDXC format. Acer is emphasizing its InstantOn fast boot technology so you can get to your entertainment more quickly and clear.fi, Acer's media sharing system. All this will come at a high price, though: $1,634 USD. If the price is right for you, expect the Aspire Ethos to be available mid-June.